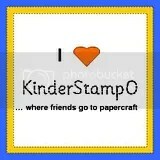 How much do I love this stamp! Close To My Heart Backdrop Charmed! It is so amazing in its detail, yet so versitile! I have been playing with this stamp all day and have had so much fun with it that I wanted to share it! 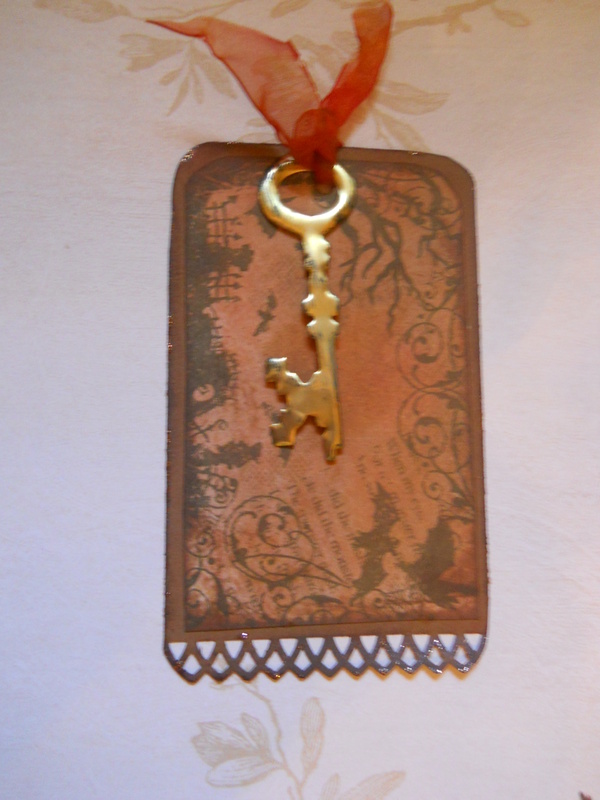 This tag is using a key cut from Tim Holtz key and keyhole die with my Sizzix Big Shot from Brass sheeting. The ribbon was a thick sheer orange ribbon, cut in half and burned, then died w alcohol inks, it added beautiful interest as it crinkled I think Im going to make a lot more of it! Beautiful for fall and Halloween projects!